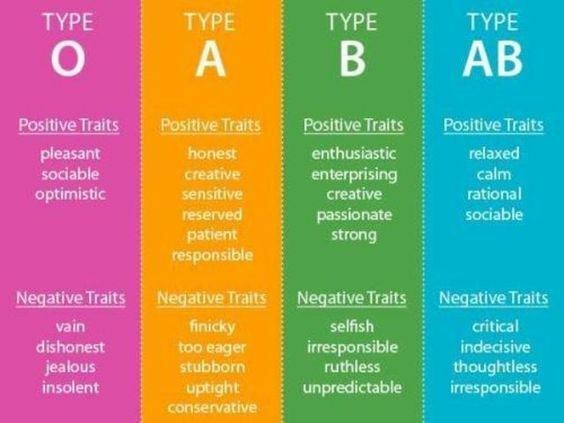 Human behavior and personality are shaped from environment and his/ her own unique genetic. 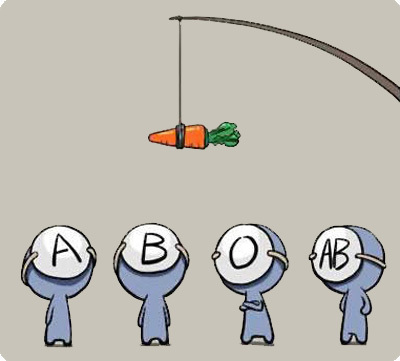 Some people do believe that blood type also has some influence. 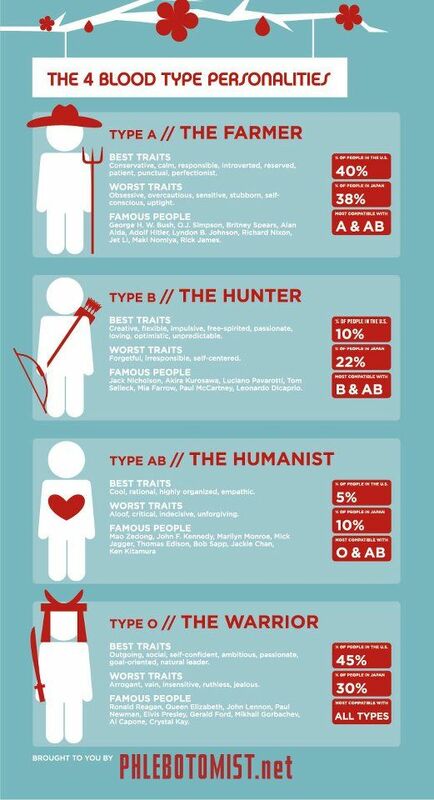 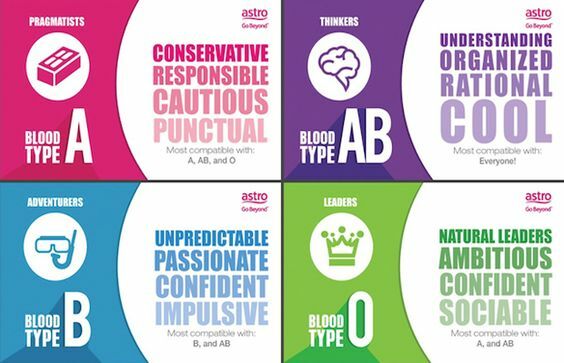 Here are some pictures about human blood-type personality and behavior.